Monarch Air Group provides private air charter in Costa Mesa, CA. Our clients benefit from top-notch service, unrelenting dedication to safety, wide selection of aircraft, and years of experience in chartering private jets. To obtain a free quote, please use our online quoting tool provided below, or call toll free 1-877-281-3051. Monarch Air Group provides private jet charter flights in and out of Costa Mesa, California, USA. Costa Mesa is a city in southwestern California with a population of approximately 109,960 people. 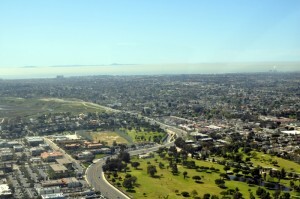 The economy of Costa Mesa is based mainly on electronics, services, retail, plastics, and pharmaceuticals. There are 26 beautiful parks, municipal golf course, 2 great libraries and 26 public schools. Costa Mesa boasts the Orange County Fairgrounds, which hosts one of the biggest fairs in California – the Orange County Fair. The most notable points of interest include Tewinkle Park, South Coast Plaza, Orange County Performing Arts Center, America’s Family Pet Expo, California Scenario, Teatro Zinzanni and many others. The nearest airports are John Wayne Airport (SNA / KSNA), Long Beach Airport (LGB / KLGB), LA/Ontario International Airport (ONT / KONT), Los Angeles International Airport (LAX / KLAX), and Bob Hope Airport (BUR / KBUR). 1. ANA, Orange County Steel Salvage Heliport, Anaheim, United States. 2. AVX, Avalon Bay, Catalina Island, United States. 3. BNG, Banning, Banning, United States. 4. BUR, Bob Hope, Burbank, United States. 5. CCB, Cable Airport, Upland, CA, United States. 6. CCD, Century City, Los Angeles, United States. 7. CIB, Ap In The Sky, Catalina Island, United States. 8. CLD, Mc Clellan-Palomar Airport, Carlsbad, CA, United States. 9. CNO, Chino, Chino, United States. 10. CPM, Compton, Compton, United States. 11. CVR, Hughes, Culver City, United States. 12. EMT, El Monte, El Monte, United States. 13. FUL, Municipal, Fullerton, United States. 14. HHR, Hawthorne, Hawthorne, United States. 15. HMT, Ryan Field, Hemet, United States. 16. JBP, Commerce Bus. Plaza, Los Angeles, United States. 17. JDY, Heliport, Downey, United States. 18. JGX, Heliport, Glendale, United States. 19. JID, City Of Industry H/P, Los Angeles, United States. 20. JLX, Union Station H/P, Los Angeles, United States. 1. Holiday Inn Express Newport Beach, 2300 West Coast Highway, Newport Beach. 2. Newport Beach Hotel, 2306 West Oceanfront, Newport Beach. 3. The Island Hotel, 690 Newport Center Dr, Newport Beach. 4. Bay Shores Peninsula Hotel, 1800 West Balboa Boulevard, Newport Beach. 5. The Hotel Hanford, 3131 Bristol Street, Costa Mesa. 6. Doryman’s Newport Beach Hotel & Inn, 2102 West Oceanfront, Newport Beach. 7. Island Hotel Newport Beach, 690 Newport Center Drive, Newport Beach. 8. Holiday Inn Express Newport Beach, 2300 West Coast Highway, Newport Beach. 9. Ayres Hotel & Suites Costa Mesa/Newport Beach, 325 Bristol Street, Costa Mesa. 10. Holiday Inn Express Newport Beach, 2300 West Coast Highway, Newport Beach.